The Florida SBDC at Hillsborough County provides no cost Small Business Consulting to help clients start and grow their business. Clients receive assistance with developing their business idea, business plan, marketing plan; answer questions about business structure, zoning, permitting, taxes, insurance, bonding and registering your business. 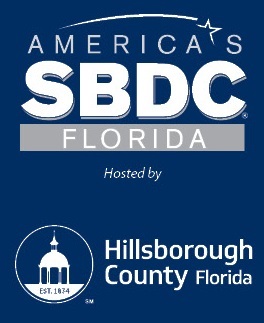 Florida SBDC at Hillsborough County offers complimentary onsite counseling at the South Tampa Chamber office every Wednesday by appointment only. Reservations are required. This is a complimentary servuce offered to Chamber and Community members.